N2769 Thundercloud Road Black River Falls, WI. | MLS# 1516160 | Clearview Realty in Hatfield Wisconsin. Helping Hunters, Families, and ATV'ers list or buy property for 15 years. Serving both Wisconsin & Minnesota. Hobby Farm on 4.91 acres, South of Black River Falls. Open concept 1+ bdrm ranch home with newer windows, flooring, upgraded bath & separate laundry room. 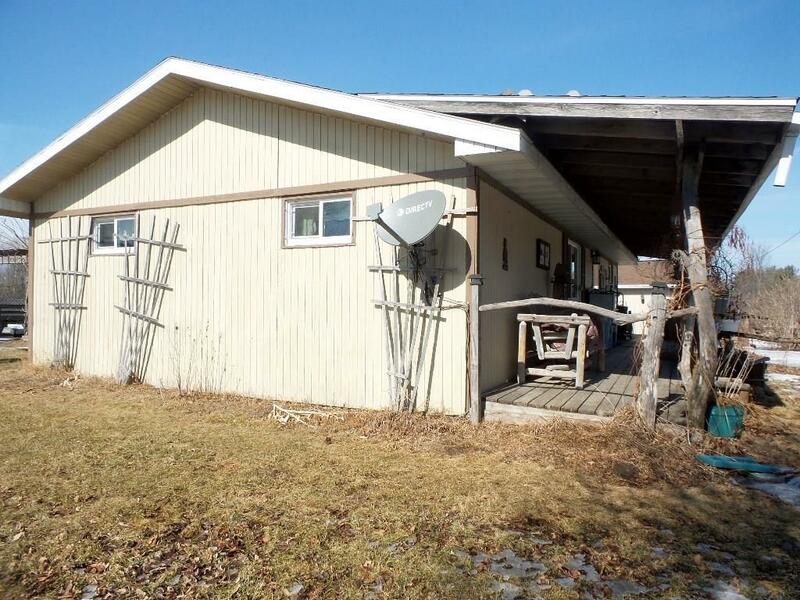 2 car detached garage has a side workshop area & studio apartment in the back. Plenty of room in the barn for animals, haymow doubles as extra storage on one side and a bunkhouse for guests on the other. Chicken coop, 4 stall machine shed previously used as a horse barn; smokehouse, and an amazing backyard firepit with swings. Pergola over the backyard BBQ with built in gas grill and picnic benches. Numerous perennials & an abundance of fruit trees. Directions: Hwy 27, 7 Mi South Of Brf. Left On Co 0, Right On Thundercloud Rd. 1 Mi To Home On Right.